Happy Bunny Spotlight Quilt Kit. 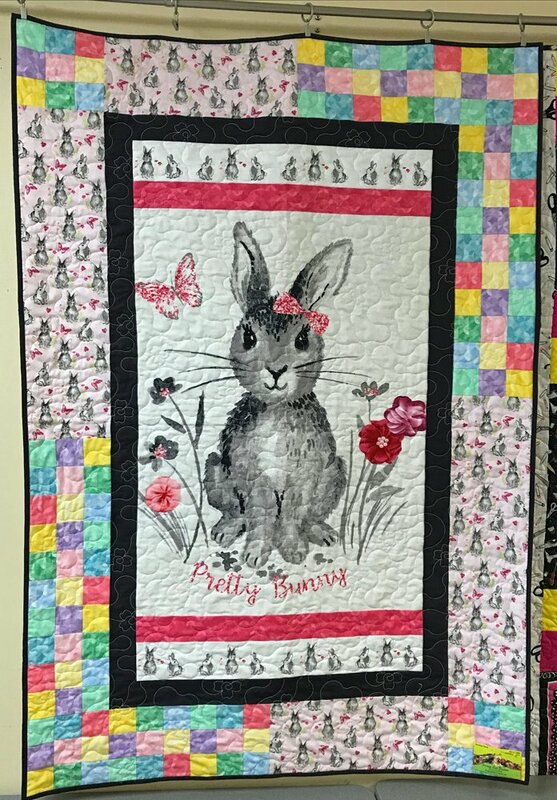 This cute springtime quilt is made with our Pretty Bunny panel and the Spotlight pattern from Mountainpeek Creations. The borders have coordinates and lots of bright pastels, too! Kit includes pattern and fabric for top and binding. Not included: Batting and Backing. Finished size: 38 1/2" 56 1/2"